Cheirurus is a cosmopolitan genus of trilobites known from the upper Llandovery to Ludlow epochs of the Silurian. 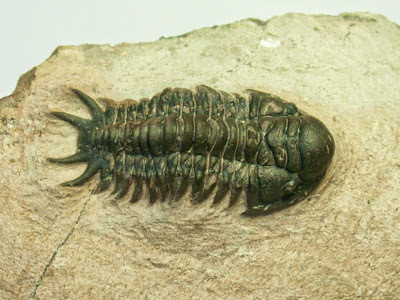 Members of this genus have three pairs of pygidial spines and an unpaired medial spine, with the outer pair of spines long and the two inner pairs reduced (Přibyl et al. 1985).